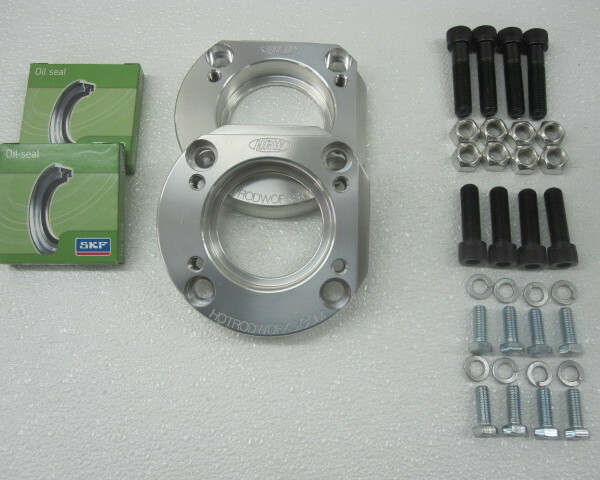 This kit adapts big bearing Ford axles to 1928-1948 Ford axle housings while maintaining the early Ford V8 hydraulic brakes. 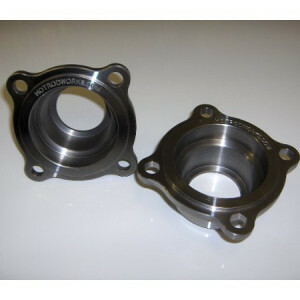 These axle bearing adapters include seals, hardware, and machining instructions. 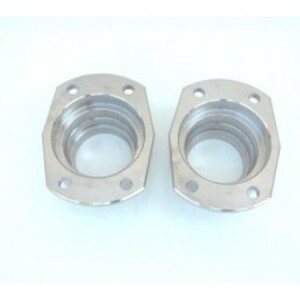 – Machine work is required on the axle housings for installation of these adapters. 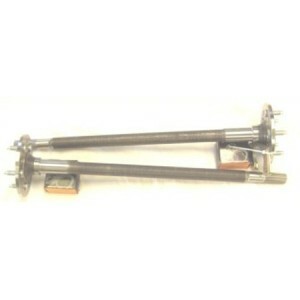 – A custom offset is needed on the axle to maintain drum and brake relationship. See part number 1101-40 for the correct axles (bearing, studs, and retainer plates included), or buy one of our complete axle conversion kits, part number 1103K or 1120K.